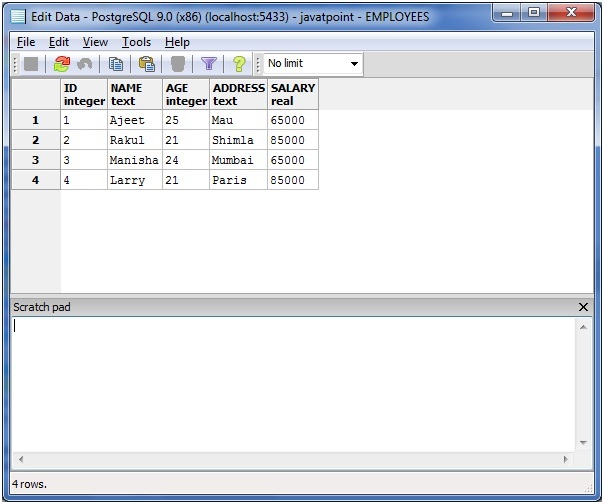 In PostgreSQL, HAVING clause is used in combination with GROUP BY clause to pick out particular rows where the function's result meets some condition. 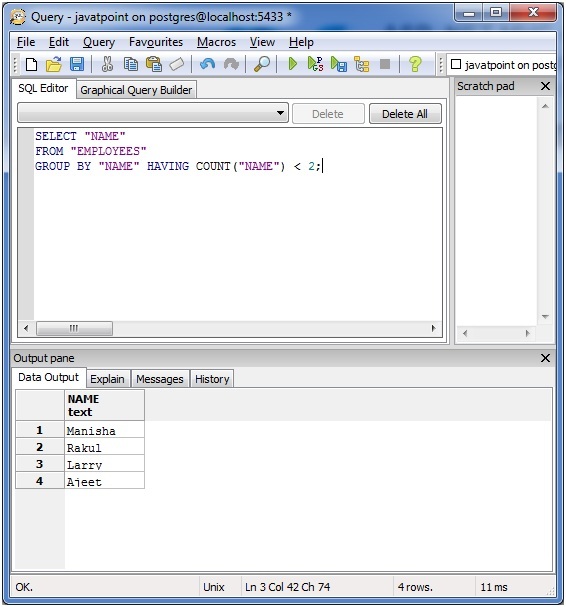 See this example, which would display record for which name count is less than 2. 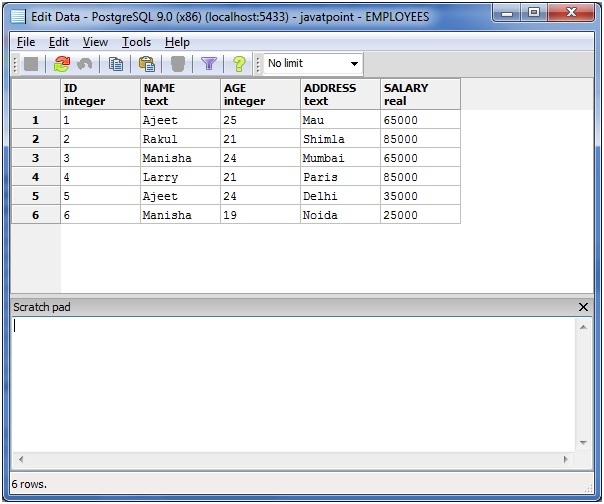 Execute the following query to retrieve the name from table "EMPLOYEES" where name count is greater than 1.